In 2008, the small Pacific island nation of Kiribati became a global conservation leader by establishing the Phoenix Islands Protected Area (PIPA), the world’s largest marine protected area (MPA), the size of California. It aims to protect pristine coral reefs and rich fish populations threatened by over-fishing and climate change. In 2011, a massive new MPA called the Seamounts Marine Management Area, was created around Cocos Island (Costa Rica) in the eastern tropical Pacific. This MPA is as big as Yellowstone National Park in the United States and protects endangered marine species such as hammerhead sharks and leatherback turtles, as well as fish stocks that are important to local communities. MPAs are especially needed now that our oceans are under more pressure than ever before. Global per-capita fish consumption reached an all-time high in 2008 at 17.1 kg per person (a rate predicted to continue to climb steadily). Fish stocks are being overfished and important habitats are being lost or degraded at an unprecedented rate. In 2010, the Food and Agriculture Organization of the United Nations estimated that by 2008, 85% of the world’s fish stocks were either fully exploited, overexploited, depleted or recovering. It is predicted that 60% of the world’s coral reefs will be lost by 2030 at present rates of decline. Nearly 40% of the global population currently lives within 50 km of a coast, and many of these people depend on the productivity of the sea. 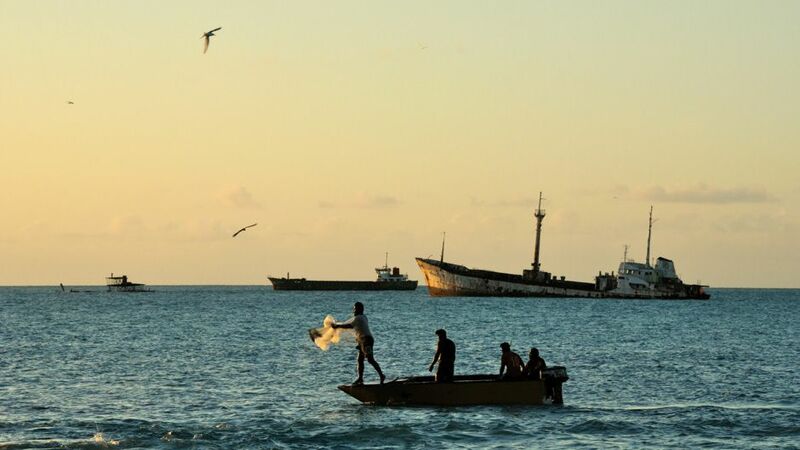 Inadequate fisheries management and widespread overuse of marine and coastal resources are eroding the traditional basis of life for millions of people. As coastal populations soar, pressure on marine resources has become unsustainable in many places. Yet, although more than 5,000 MPAs have been established globally (according to the World Database on MPAs), only a mere 1.2% of the world’s ocean area is protected — compare this to 17% of land area being protected. This is despite commitments made by the international community at the 2002 World Summit on Sustainable Development and the Convention for Biological Diversity for the preservation of at least 10% of each of the world’s marine and coastal ecological regions through MPAs by 2012. The majority of MPAs are inadequately managed and almost all are open to tourism, recreational activities and 90% are open to fishing. In addition, most are located within areas of national jurisdiction, meaning that very little of the open ocean or “high seas” are protected, according to a 2010 study by Caitlyn Toropova et al. No-take fishery reserves — a solution? 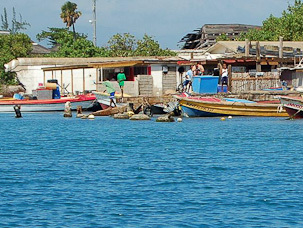 One solution to improve the fishery management role of MPAs may be found in the No-Take Fishery Reserve (NTR), a type of MPA within which extractive fishing activities are regulated (or not permitted) and other activities, such as pollution, construction, research, boating and diving are also frequently regulated. Closing areas to fishing has been widely practiced in fisheries management in the past to protect critical habitats, restore depleted species, and protect vulnerable stocks. However, closing areas permanently to all types of fishing is a more recent approach. NTRs can benefit both local biodiversity and local fisheries, i.e., target species (adults, juveniles, and larvae) are expected to increase in abundance and biomass inside an NTR and eventually spill out of the reserve into unprotected areas. This “spillover” can then be harvested by fishermen who can gain a sustainable livelihood as a result of NTRs. Commercial fishing typically reduces populations to only a handful of age classes, never allowing individuals to reach full maturity. Protecting exploited species in NTRs allows them to live longer, grow bigger and become more numerous. This is important because older fish (such as the northeast Atlantic cod and the red snapper) produce more eggs and since most fish produce free-floating larvae or eggs, the offspring of protected animals can drift out of protected areas and re-supply even far-away fishing grounds. Perhaps the most persuasive evidence that NTRs can have positive effects can be seen in places where well-managed NTRs exist. In these cases, fishermen move their activities closer to the boundaries of the protected areas. A great example is the hook-and-line fishery around the 20-year-old Apo Island Reserve in Negros Oriental in the Philippines. Catches in this fishery have increased ten-fold since its establishment in 1982. The total yield is one of the highest in the country, and catches have been stable for the last 15 years at about 20 mega tonnes of fish per square kilometre per year. Interestingly, the biomass of predatory target fish is still rising exponentially after 20 years of protection, implying that the carrying capacity of reserves may take decades to level off and that protection must therefore be long-term in order that the full benefits of NTRs may be derived. There are many studies from around the world that demonstrate that NTRs have the ability to preserve healthy ecosystems, protect biodiversity, and rebuild depleted fish populations. However, establishing NTRs is not as straightforward as one might expect and there is no “one size fits all” solution. In designing and managing NTRs, some critical questions for managers, in partnership with fishermen and other key stakeholders, to ask include: How do size, location and spacing of NTRs affect their functioning? How do neighbouring reserves affect each other? Is one large NTR more effective than a few small NTRs? Do NTRs work for all fishery species in all coastal environments? In considering the question of size, large MPAs have been found to be most effective in terms of fish conservation where big fish can more than triple in size within a reserve, compared to outside. But a single large MPA is not always the best solution. NTRs that are too large may maintain good fish populations, but if most of the fish remain inside, this does not help fishermen. At the same time, NTRs that are too small cannot maintain viable fish populations, as illustrated in this figure. Furthermore, marine species often need different habitats and ecosystems during their lifetime so NTRs must provide protection of all critical habitats or else a species may not persist. To balance the needs of fishermen and the marine environment, and to get optimum benefit from protection, a network of a number of MPAs of different sizes may be the best solution. Such networks must include the full range of habitat types and species and their movements, including important spawning sites. Although theoretically, there is an optimal number, size, location and spacing of NTRs in a network that maximizes both conservation and fisheries management goals, the complex scientific, economic, social and political issues make finding “common ground” difficult for various marine users, i.e., commercial and recreational fishermen to ecotourism operators and environmental groups. To be an effective management tool, NTRs must have the compliance of local fishing communities and regulation enforcement. Unfortunately, most coral reefs reside in some of the poorest regions in the world where proper infrastructure and enforcement do not exist, often making this form of resource management ineffective. Therefore, managers should be cautious about predicting this effect and advocating NTRs to stakeholders. Lack of scientific information on the correct size, spacing or placement of no-take reserves limits our ability to predict the positive effects that an NTR might have on surrounding fisheries or biodiversity. More biological information on target species’ mobility, life history, rates and patterns of settlement and recruitment, adult connectivity, identification of key spawning sites, connectivity amongst neighbouring populations, and the status of these populations as either sources or sinks is required. Sound fisheries management is also needed, as well as controls on human activities such as development and pollution, but the simple step of enabling part of the ocean to be off limits can reap tremendous benefits. It is also important to note that without attention to underlying socio-economic issues, NTRs are unlikely to be effective. In that light, scientists and managers must collaborate with local communities, fishers and other stakeholders, and politicians in building management programs and ensure their value as a comprehensive integrated management program. In a recent paper co-authored by United Nations University Institute for Water Professor Peter Sale, published by the Marine Ecology Progress Series (2011), the authors question the usefulness of MPAs for protecting biodiversity. They state that MPAs will not stem global biodiversity loss and that the ability of protected areas to solve this problem has been overestimated. The authors warn that long-term failure could erode public and political support for biodiversity conservation and that the disproportionate allocation of available resources into this strategy precludes the development of more effective approaches such as NTRs. They also underline that biodiversity loss is unlikely to be stopped without directly addressing the complicated issue of human overpopulation and consumption. In summary, NTRs are a useful tool for fisheries management and biodiversity conservation, but it is important to remember that the NTR is just one of many tools available to fisheries managers. Reserves are not a panacea for all the problems facing the ocean, and need to be complemented by sound fisheries management outside the reserve as well as controls on human activities such as development, and pollution. However, the simple step of enabling part of the ocean to be off limits, through NTRs, can reap tremendous benefits. This article is based on “The Science of No-Take Fishery Reserves – A Guide for Managers”, published by the United Nations University Institute for Water, which is available for download below. Can No-take Fishery Reserves Help Protect Our Oceans? by Hanneke Van Lavieren is licensed under a Creative Commons Attribution-NonCommercial-ShareAlike 2.0 UK: England & Wales License. Ms. Hanneke Van Lavieren is the Coastal Ecosystems Programme Officer at the UNU Institute for Water, Environment and Health (UNU-INWEH). She has a masters in Marine Biology and Ecology from the University of Groningen in the Netherlands, and worked for the Netherlands Institute for Fisheries Research where she studied catch composition and population dynamics of fish species in the Dutch beam trawl fishery. She was (coastal/marine) Technical Advisor for a conservation project in the Philippines for the Netherlands Development Agency and joined the United Nations Environment Programme’s Regional Seas Programme in Kenya dealing with issues such as small islands, MPAs, coastal biodiversity, climate change and marine invasive species. Since 2006 she has been managing and coordinating coastal projects for UNU-INWEH, together with Dr. Peter Sale.